New Strategic Command WWI Demo Released | Armchair General Magazine - We Put YOU in Command! A brand new version of the demo for Strategic Command World War I has been released. This demo updates to version 1.03 and improves the AI’s speed by 50% and also gives players a sneak peek at the third campaign available for the game: World War II. The demo includes three campaigns: – the 1914 Call To Arms grand campaign (playable for the first three months from August to the end of October) – the full mini-campaign of 1918 Kaiserschlacht – and a sneak peek at the World War II campaign 1939 Storm over Europe. Multiplayer modes, saving games, and unit purchases have been disabled in the demo, but the campaigns are playable against the AI as either side. 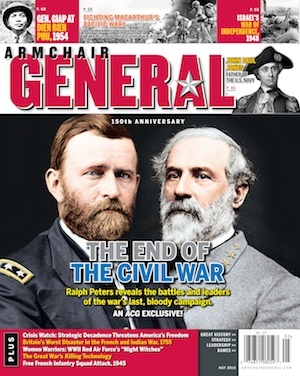 For more information please read the Armchair General review and visit the official game page.